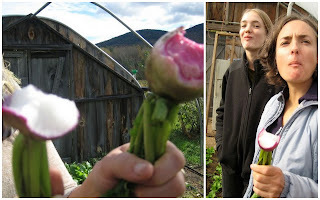 A few weeks ago we had a CSA member potluck to gather together, enjoy food, talk about the season, etc. After the meal we headed out into the fields for a tour of the gardens and to look at what's to come next season. One of our really productive crops this year was beans, both fresh and drying. While all that's left of the fresh beans is whatever is in the freezer, the drying beans are in the greenhouse - drying! Also in the greenhouse (and the new high tunnel) are greens! 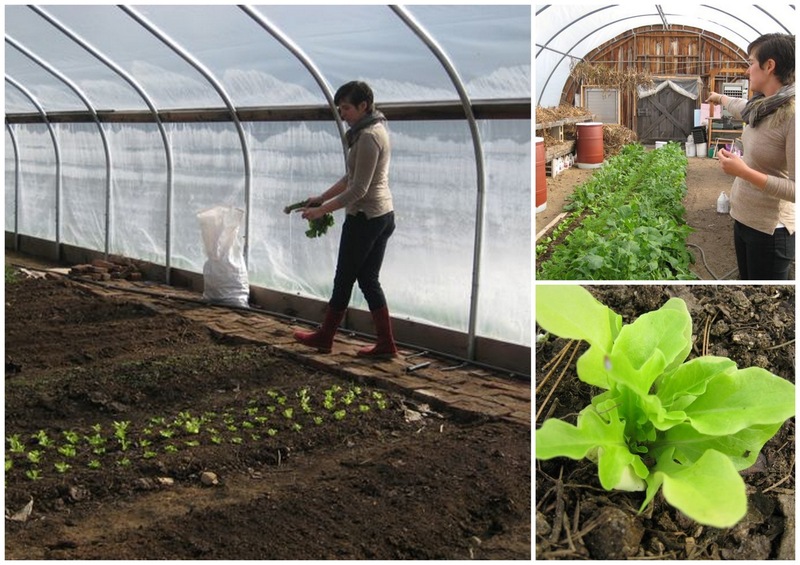 Little lettuces, big radishes, arugula, spinach, and chard - oh my! Speaking of radishes, how about a sample?! 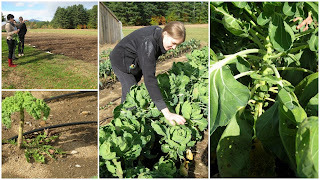 Out in the fields, there are some things to be seen: new no-till beds, Brussels sprouts, and kale. There is also lettuce, being protected by some row cover, of course. Although the CSA season has ended for 2011, I am still growing over here. 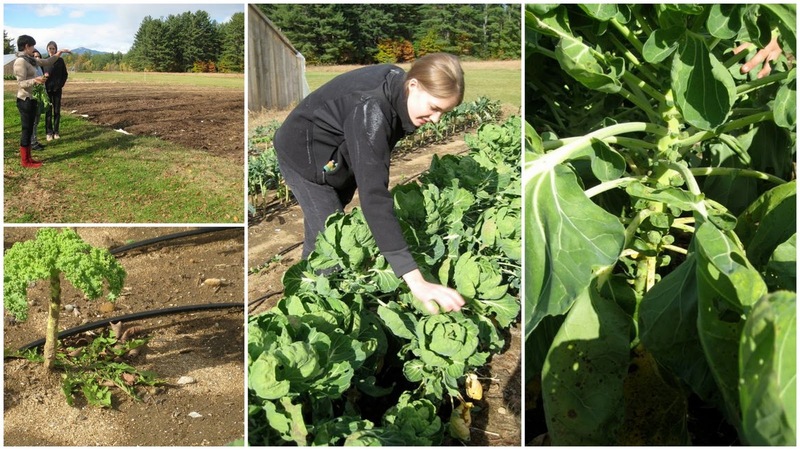 Weekly harvests on Thursdays of kale, lettuce, chard, arugula, and whatever else is toughing out cold nights and soaking up daily sunshine! 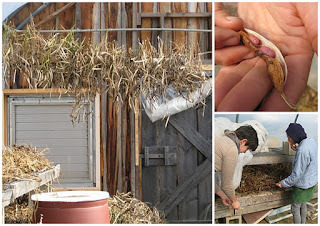 I am really excited to see how the winter goes and I look forward to next year's summer growing season, too.